How to Make a Banner in Minecraft? A Banner is one of the primary decor items you can own in Minecraft isn't that right? So throughout this piece I'll be walking you through the steps on How to Make a Banner in Minecraft. We will start with making White banners, and then move forward to other colors and types as well! And trust me if your last Google search was anything even remotely related to “banner maker Minecraft“, you're exactly where you should be. The Black thing banner etc. So anyway, “banners” mean a lot in minecraft,so let's turn you into one of the best Minecraft banner maker in your neighborhood! So in order to learn how to make banners in Minecraft, you need to first learn what are the requirements to make any specific banner, right? You ofcourse will need the crafting table before you can craft any items in Minecraft. So make sure you've the items listed above, and the crafting table. Position your player just in front of the crafting table. PC:- Right click on the crafting table. PS3:- Press the “square” button. Xbox:- Press the “X” button. I suppose those are the three most popular gaming platforms in the market these days aren't they? So I'm sure they cover your device as well. Anyway once you've access to the crafting table, you need to add the required items to the crafting table. Place the items listed above in the 3X3 grid, that's where the required items for any craft are placed. 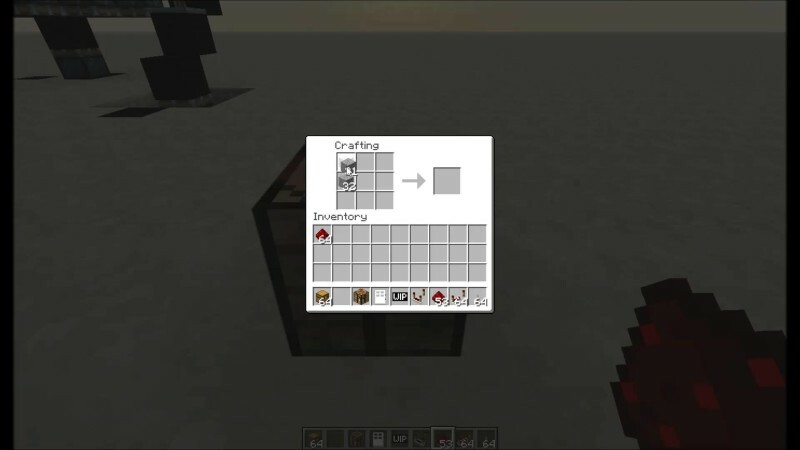 Minecraft automatically detects the output and let's you know what you're crafting. You should see your white banner appear right next to the crafting grid. Finally just move the banner to your inventory to complete the job! How to Make a Lozenge Banner? It's one of the other kinds of banners you get to own in Minecraft, and can be used to make a custom shield. All the steps and methods to make any kind of banner is the same in this how to make banners in Minecraft guide. Obviously you'll need to craft or obtain the required items before you can proceed with making this banner. Once you have the above items, just add them to the crafting table, and you'll get the output, simple as that. How to Make a Black Thing Banner in Minecraft? Talking about Lozenge and leaving out the “black thing” banner doesn't seem fair now, does it? The Black thing banner is primarily a decor, it can be used to decorate your game in general with a flag, or to decorate a custom shield. So in short, you can make a white banner using the first section of this article, a Lozenge banner using the second section, and then this black thing banner to decorate both of them. The black thing banner to make a custom shield as well just like the other banners in this piece. Again make sure that the placement of the items is exactly as illustrated below. If the sequence doesn't match, you won't get the desired product. So place 1 dye in the second row, first column, and then another die right next to it in the third row. In the second column, place the banner in the second row second column, and then the dye in the third row. (Just follow the screenshot). And once it's done, you can add it to your inventory! So that was all I had in my arsenal as far as this How to make a banner in Minecraft guide is concerned folks. Hope this piece helped, if it did I'd love to get your feedback in the comments section. Not to mention that feel free to share this piece on your social media with your folks, you might do a Minecraft player some favor, who knows? How to Make a Hopper in Minecraft? So you want to play Xbox 360 games on PC, right? I know why you want to do it. You may not be in a position to spend money only for a gaming console. Or else, your Xbox 360 console might get damaged. Whatever be the reason, I am going to help you run Xbox games on PC without any issues. Are you ready to dive into the core of the post? Here you go. Even though the main title involves Xbox 360, I am going to share a method to play Xbox one games PC as well. Hence, you will have the complete tutorial in this subject. Before I move to the core (Xbox 360), let me tell you how it can be done with Xbox One. How to Play Xbox One Games on PC? You know what streaming is, don’t you? Simply put, it is a technique involving the transfer of playback from one device to another. In order to play Xbox One games on Windows 10 or any other Windows computer, we use streaming. Means you need to turn Xbox One for the process. I have divided this into different steps for your convenience. Step 1: You have to ensure that the software on both your computer and Xbox one is latest. Hit the Win key or press the Start button and search for Check for updates. Open the first option that comes up. You can use the button given there to check for updates. In case your system is up-to-date, you will read the same. When it comes to updating firmware on Xbox One, you have pretty much nothing to do. The updates get installed automatically. You can check the firmware version by following Settings>> System>> Console info. Visit this link and compare the version with that on your Xbox. Step 2: The second step is enabling the streaming on Xbox. For that, you have to boot up your console. Then, navigate to Settings (You can do it in two ways; from My Games & Apps or pressing menu button on the controller). 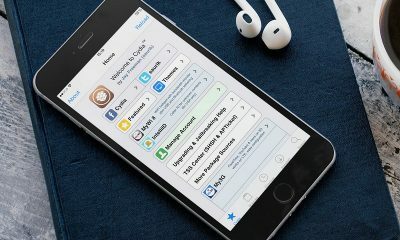 Once you reach Settings, you have to navigate to Preferences. There you must ensure that Allow game streaming to other devices is turned on. 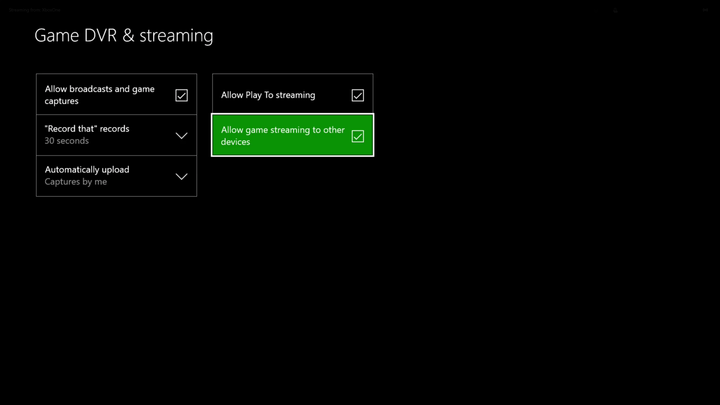 The streaming option is activated on every Xbox One console by default. I recommend you check it out, though. Step 3: You have to download Xbox on Windows 10 now. Most probably, you have the app by default. In case you don’t, you can download the same from Windows store. Step 4: Open the app. 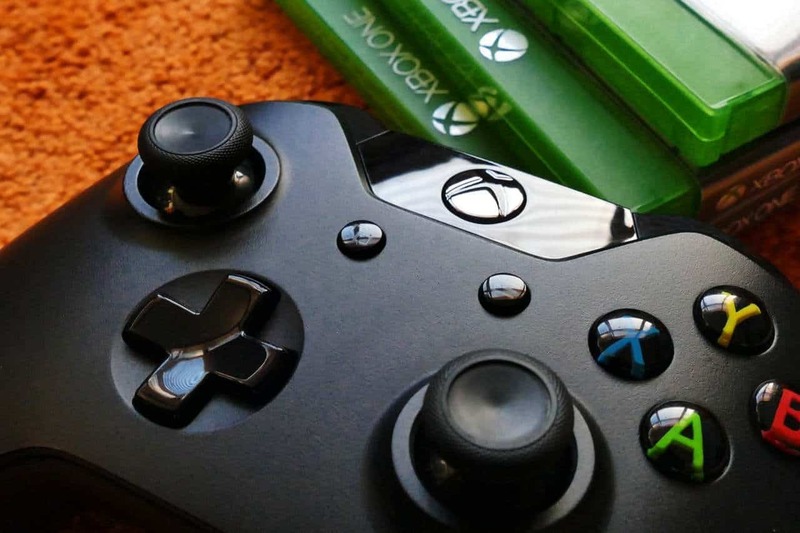 It will log into Xbox Lie using the Microsoft account you use on your computer. You have to make sure that the gamer tag on your Xbox console matches with that on the app. Step 5: Hit Connection given on the bottom of the left panel. You will see an Add new device screen. Most probably, your console will get listed there. In case you can’t see your console there, you have to manually enter the IP address of it. 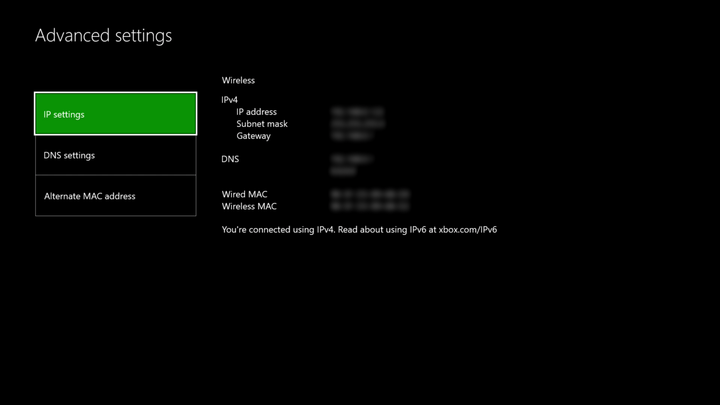 N.B.- You can follow Settings>> Network>> Advanced settings on your gaming console to find out the IP address. Step 6: The next step is ensuring the presence of the gamepad. You need to connect a controller to your Windows 10 computer. A typical gamepad works fine. In case you like to connect with a default gamepad that comes with Xbox console, you will have to make use of Bluetooth connection. Step 7: Once you finalize all the six steps given above, you can finally hit Stream to play Xbox 360 games on PC. During every streaming session, you can see a toolbar on the top to mute or stop. The first method I shared to play Xbox games on PC was streaming. You can go for emulation if you don’t like that. For that you will need an Xbox 360 emulator for PC. There are multiple emulators you can find on the web. The popular ones are CXBX and Xeon. Download any of the emulator first. You get the necessary files in a zipped archive. Then, you should extract the same to a location you like. You need a ROM file, disk or the blu ray file of the game. Once you have it, execute the emulator and mount the disk. 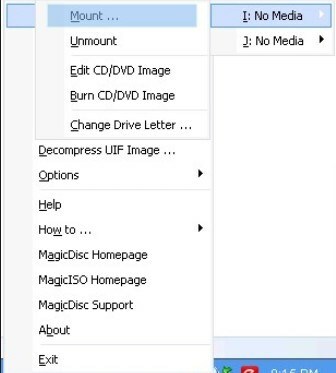 MagicISO tool helps you mount disk images. There you go! Running the emulator now will help you play the game. It may take some time to start the gameplay based on the system resources. In order to play graphically intense games, you need a powerful GPU. 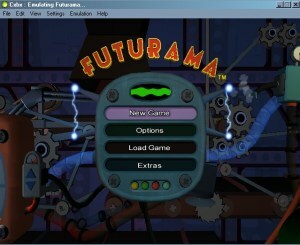 Even though the requirements for different emulators differ from each other, the following are some of the minimum specs a computer must have, in order to run Xbox games on PC. You need at least Windows 8.1 or Windows 10 for Xenia. But CXBX runs even on Windows XP as well. An OpenGL 4.5-compatible GPU is what Xenia developers recommend. Their official page suggests the best to be used with Xenia is NVIDIA graphic cards. As far as CXBX is concerned, you may not encounter any graphic related errors I guess. One of the inevitable things for Xbox emulation is the controller. You should have one to control games. Some emulators allow mechanical keyboards for controlling the games. I hope you know how to play Xbox 360 games on PC now. As you read, there are two popular ways to do it. If you have an Xbox console, streaming is the best way. If you don’t, you can go for emulation. In case you have any doubts related to playing Xbox games on Windows, don’t forget to drop a comment below. I will reach out to you at the earliest with a working solution. Have you ever played Xbox games on Windows? How was the experience? Let us know. Moreover, I appreciate if you share this article on your social media profiles. Hoppers are a very important part of Minecraft as they are highly useful blocks for the gameplay. If you are new to the game, you should know how to make a hopper in Minecraft and this guide will help you learn that. Hoppers collect things out of an ampule above it and from around it. It holds these items and keeps them in an ampule under it or fixed to its side. 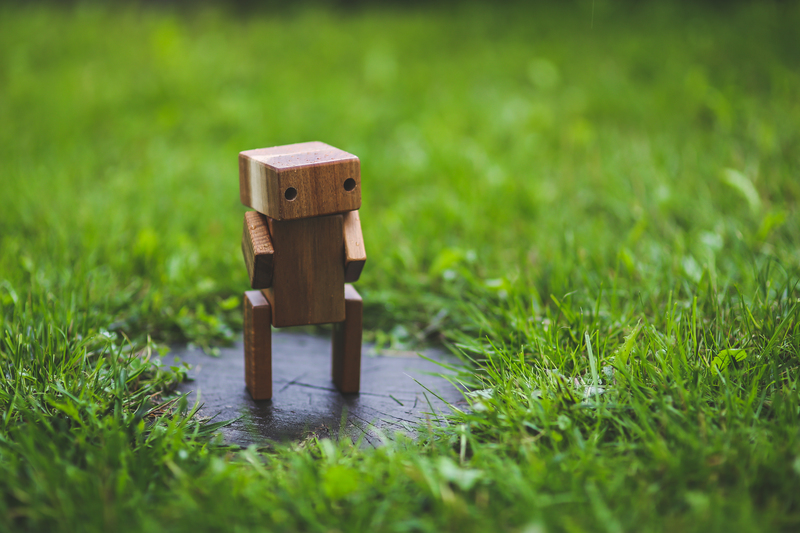 They can be utilized for automatically collecting the dropped things from monsters destroyed in a trap, making auto cooking appliances, or almost anything else that one could think of. In simple words, the hopper is a basic thing in the player’s inventory. The Hopper block was first added to the Minecraft 1.5 edition. It is similar to a funnel and looks like an anvil. It can be easily crafted using two common ingredients. If you’re using a Minecraft Pocket Edition, hoppers do not exist in it. To make a hopper, players will need 5 iron ingots and a chest. Once your hopper is crafted, you can create automatic furnaces, Minecraft delivery system, and also breweries. Before you start, ensure that you have a crafting table that can give you the 3×3 crafting grid and the needed materials. Let’s assume that you have created a crafting table by now in the game and kept it at some place on the map. Try to find this table. Now, stand in front of it. For Pocket Edition, click on the table to access the menu. For Mac/PC, right click on the table to open the menu. For Xbox One and Xbox 360, tap the X button on the game controller to access to crafting menu. For PS4 and PS3, hit the square shaped button on the play station controller to access the menu. Once you open the crafting menu, you will find a crafting area made of 3×3 crafting grid. Keep a chest and five iron ingots in this grid to create a hopper. 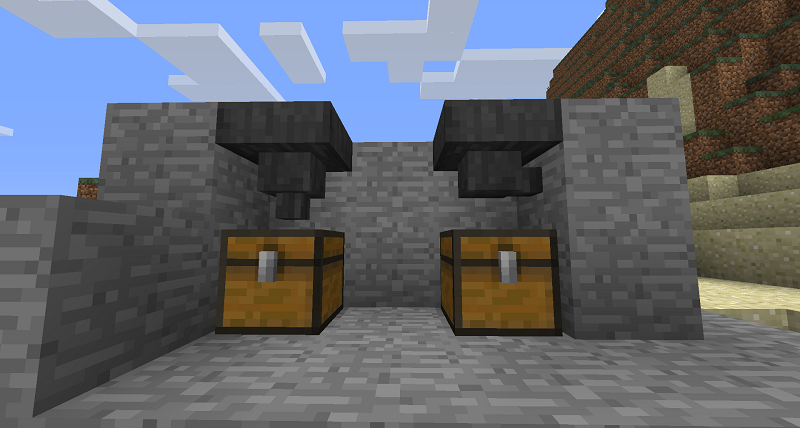 When creating a hopper, it’s crucial that the chest and the iron ingots are positioned in the right pattern. The first row should have one iron ingot in the 1st box, and there should be one iron ingot positioned in the 3rd. For the second row, one ingot should be kept in the 1st box; one chest should be kept in the 2nd box and one ingot in the 3rd box. The third row should have one iron ingot in the 2nd box. If you change the pattern of these boxes, the crafted item will also change. If you’ve filled the crafting region with the right pattern, you can find the hopper in the box on the right. Once you’re done with creating a hopper, you have to shift the created item to your inventory. There are two parts in inventory. The three rows on the top are things in your inventory, though they aren’t directly accessible for use. The fourth row or the bottom row is called the hotbar. These are nothing but your inventory items, which can be used immediately in the game. This is the crafting recipe to learn how to make a hopper in Minecraft. If you’ve started playing Minecraft, how to make a hopper is a must-learn technique for you to be successful in the game. Once you’ve crafted the hopper, decide what you wish to create using it and where it has to be placed. Keep it above or near the ampule you wish it to place things into by clicking on that ampule. If you’re keeping it near the ampule and are opening it rather than positioning the hopper, you need to hold on to shift and then click. Keep the ampule you wish the hopper to take things from over it. Keep a lever near the hopper on a block or a Redstone line. Flip the lever or switch on the red stone for deactivating it. Keep things on your machine top. Switch off the lever to get it going. Using a hopper, you can crouch, drop items into it, place it on an ampule, place an ampule over it, set up an auto furnace station, and deactivate it with Redstone. 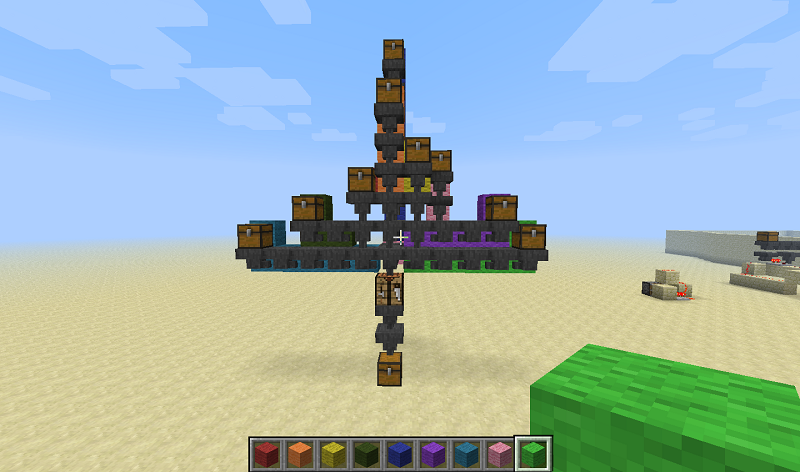 You can also add more hoppers to Minecraft if needed. You can combine a hopper and Minecraft – pick up items with a hopper and unload them with another. In some editions, the Hopper shifts things to a chest from its inventory similar to a funnel in several ways (when the chest is kept directly under the Hopper). It doesn’t need Redstone and is capable of automatically exporting things. Players can access the hopper by right clicking on it. It has an inventory menu similar to a chest, where items can be removed and stored. Now that you know how to make hoppers and use them get going and enjoy your Minecraft experience. If you get stuck up anywhere in between the procedure, drop your queries in the comments section below, and we’ll answer them to solve your doubts. Though, it’s unlikely that you get stuck in between as the process is quite simple and straightforward. You can also share your views with our readers through the comments section. Stay tuned on this blog for more such informative tech and gaming guides.